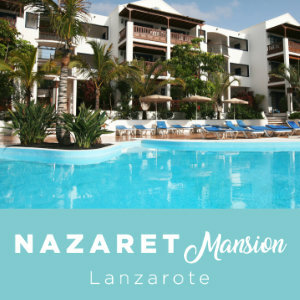 NAZARET APARTMENTS and NAZARET MANSION are located in the centre of the tourist area of Costa Teguise, in the south-east of the island of Lanzarote (Canary Islands). Consult our offers and options, let us give you some advice and answer your questions, so that your holidays are as you wish them to be. Follow us on Facebook to be updated with our news and to see all the pictures our friends have shared of their holidays here. 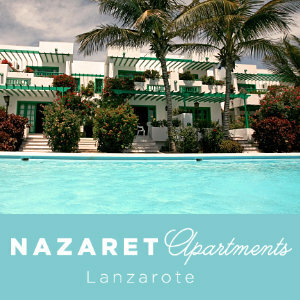 You will definitely make the best choice by coming to us to spend your holidays in Lanzarote. A cosy apartment, a pool, only a few steps from the beaches, restaurants and shops, and you will be close to all the interesting places to visit on the island.